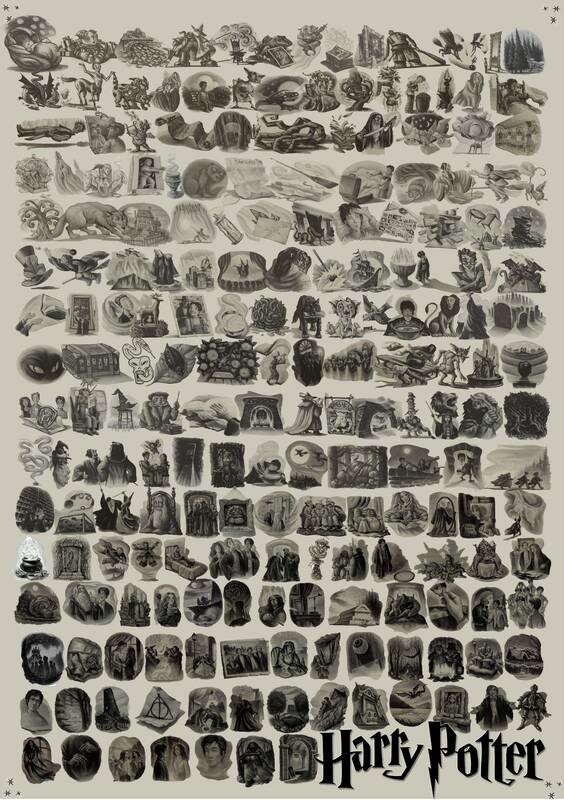 Love the chapter illustrations in the Harry Potter books? You're not alone. Redditor ajcfood compiled them all together in this one handy image, perfectly designed to induce a wave of nostalgia.